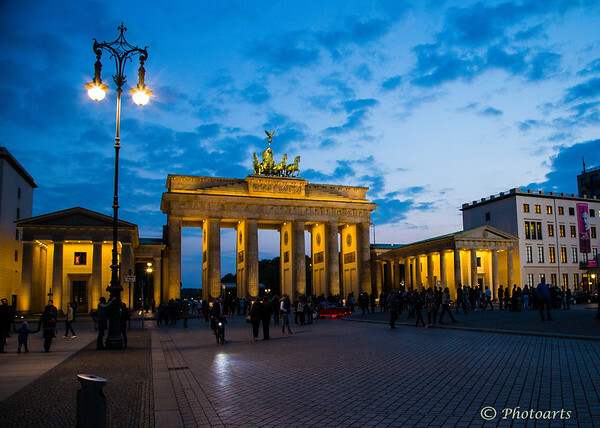 Brandenburg Gate in Berlin, Germany, a place imbued with so much history and human drama now sits quietly in a pleasant plaza where locals and tourist alike enjoy an evening stroll. Gorgeous light and wonderful capture of this iconic gate. A famous place indeed !! Nice to see it thus now, less AH or DDR ! Nicely taken image !! Great mix of the ambient light of dusk and the artificial street (and monument) lighting.